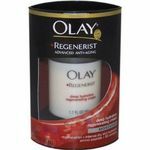 Loved the way it moisturizes my skin deeply. This product does not defy age in any way. I bought this product because the price was right and I have had success with other Aveeno facial moisturizers. As I have been getting older, I have noticed that being in the sun so much has had a seriously negative effect on my skin, especially on my face. 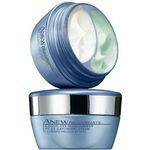 Around the time, I decided to try using anti-aging products, I bought this one because I had a coupon for an Aveeno facial product. I thought it could not hurt to see if the cheaper lotions worked first. I definitely learned right off that they do not work as well at all. This lotion was supposed to help firm the skin on my face and reduce the look of aging, while keeping my skin safe from the sun. The only thing this lotion did was keep my face from burning when I was outside. I could have done that with a regular sun tan lotion. This product did not reduce any of the aging signs I have experienced over the past couple of years. It did somewhat moisturize my skin and it absorbed well, without leaving my skin feel oily or greasy. I would only recommend this lotion for moisturizing, not for anti-aging. I have always been a huge fan of Aveeno products, even though they tend to run on the pricier side. I always used the lotions on my kids when they were babies, the oatmeal bath, and I love the shampoo and conditioner line. So when I saw the Aveeno Positively Ageless Lifting and Firming Daily Moisturizer WITH SPF30, I had to grab some to try. To be honest I was not that impressed with it. The lotion seemed pretty thin, and it seemed I had to use quite a bit to get an even coverage. There is not much scent to the lotion, if at all, which is fine since it is for your face and I tend to start getting sneezey if something is too scented. I don't think the lotion did much in the way of moisturizing, but the SPF really worked well. It didn't cause any breakouts or redness, which is another plus. But I don't think it did anything to make my skin firmer either. This lotion just seems like a dud coming from the rest of the great Aveeno product line. Aveeno is a brand that I trust and that truly works. I found that Aveeno is a bit more expensive than some of its competitors on the market, but it is a brand I know I will work. I love this Aveeno Ageless moisturizer. Not only does it help keep my skin feeling firm but it also has an spf in it. This is great especially for the months when the sun is out. I love how it feels light and doesn't weigh me down. Love that the size of the bottle is not too small. You only need a small amount on your fingers, it covers a large amount of your face. Surprisingly this bottle lasted me a decent amount of time. I also was pleased that the price was middle priced. Overall, it works great in both protecting you from the sun and helping your skin feel firm and young. Absorption A nice cream that soaks into your skin very easily without a lot of rubbing or irritating. Doesn't Clog Pores Very light and is easily worn under your makeup without feeling weighed down. Effectiveness Love that it really helps protect your skin from the sun. When they say "radiant", don't get confused. They don't mean "lit from within." They mean "sparkle." 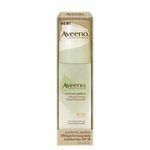 Now, if this is something that you would like (and for many people, they do) then this moisturizer would be perfect--it does make the skin look alive and it does hydrate really well, as I would expect from any Aveeno product. However, if you are looking for a more natural finish, this is not it. When I wear this moisturizer in the sunlight and catch my reflection, I can see the glitter on my skin and I personally do not find it flattering. It's too bad, because I find that the lotion itself works very well. The best part about this moisturizer is that it has a really good amount of SPF! I think it is so important for anti-aging to always have SPF in your lotion, and Aveeno doesn't skip out. It also doesn't feel sticky like some sunscreens can. So, in total, I didn't hate the moisturizer, but I would rather have a lotion with equal SPF with no shimmer or sparkle. My skin just looks funny with it. I do love Aveeno products though, and I don't think this one is inferior, just not what I look for in a face product. This is a really wonderful moisturizer. I needed something with a higher SPF since I was starting to spend so much time walking in the sun with my little boy and I kept getting turned pink! As soon as I switched to this moisturizer, my skin was protected and felt so much better. The sun dries me out so much, but my skin felt smooth and clean after using this. It felt so much healthier and it never got flaky, which always seems to happen after I get too much fun. It was such a relief to have my skin feel normal all summer long! Effectiveness This worked wonders on my dried-out summertime skin. I really loved how soft it made my face and how well it protected me from further sun damage. Ease of Application This is so easy to put on and it doesn't leave any kind of greasiness behind! It smooths into the skin very quickly and absorbs very well. A little goes a long way. Scent I love how this moisturizer smells. It doesn't have that sunscreen odor that so many do. This product is awesome because it makes your skin look clean!! This product does not only make my skin look great but i feel as if its cleared it. About a year ago i went through, i guess, a faze. I was constantly breaking out. I used many products and nothing would help it would just make it worse, whether it was makeup or facial cleaning product. After some time experimenting on different products i came across the Aveeno cleansing bar and the Aveeno daily moisturizer, which has a tint to it as if it were makeup. Every morning i wash my face and then apply the moisturizer and it looks as if i have makeup on. Aveeno has many greats products and as time has passed i've wish i would have realized this before spending so much money on so many other products. Unfortunately my phase lasted two or more years after using a product that really messed up my face. Luckily I was able to find this product before scaring my face badly. I would recommend this product to anyone and I have, which I can honestly say that it has made a difference to those I have recommended it to. It doesn't hurt to try so why not take the chase. Aveeno Positively Ageless Daily Moisturizer with SPF 30 is easy to use, and smells great. I used this product for a few years before switching to the tinted version which gives the perfect amount of coverage for people who don't like to wear a lot of products on their faces. My biggest quibble is with the product's bottle. Although the pump is very convenient for one-handed application, unless I cut the bottle open like some Depression Era person, I can never, ever use all of the product. It's so aggravating, but I don't know if tubes are that much better. Effectiveness It moisturizes well without being oily or greasy. I appreciate that. As to whether it's making me look "ageless" --- that's debatable. Ease of Application Pump dispenses a good amount of product and it absorbs easily and quickly. Don't like the way there's always a little gelled clump in the nozzle the next time I use it. Scent Smells light and clean. Not overpowering. I think this product is so awesome!!! First of all this product feels nice on your skin! It leaves your skin feeling smooth. Which is important to me. Next it smells really nice. Who doesn't love a nice smelling product? Added benefit is the SPF 30. Packaging is pleasant and easy to use! I personally like things that are quick and easy to use, make my morning routine easier as I don't have a lot of time to get ready. If you are like me, then this product is for YOU! There isn't one Aveeno product that I have not enjoyed! You can't go wrong purchasing Aveeno Brand products. 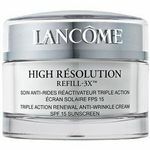 Overall this is an excellent all in one product that provides you with the anti aging, moisture and SPF 30 protection!